Did I tell you I have some very first world problems? I love fancy things. 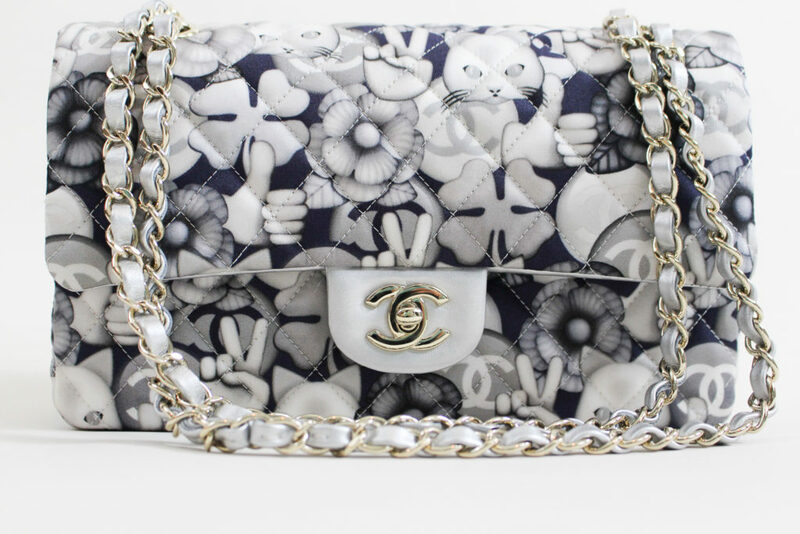 I have a taste for the finer things in life and any feline fashionista like myself just can’t have enough Chanel. That’s why I was very sad to hear the creative director of Chanel, Karl Lagerfeld, died this week at the age of 85. He was the modern mastermind behind the French design house, but my love of his fashionable goods began with his feline muse and beloved pet cat, Mademoiselle Choupette Lagerfeld. 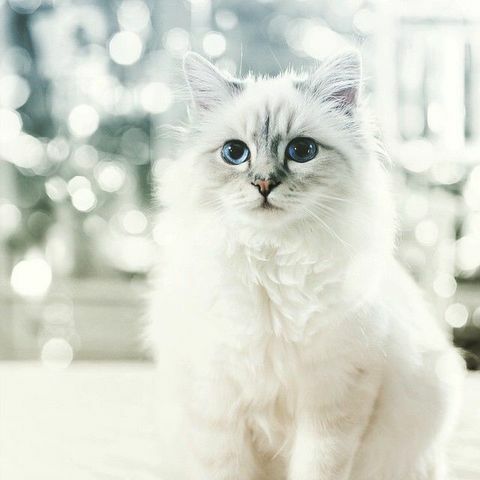 Choupette is a purebred Birman cat who up until recently, lived in Paris with the late designer and two maids. These lucky household servants tended to her every whim day and night. It’s reported the maids sent Karl numerous updates throughout the day while he was at work, so the fashion designer always knew what his furry child was doing. According to the New York Times, Choupette always joined him for lunch or dinner and disliked eating on the floor. Her meals always came served in dinnerware by the luxury French trunk maker Goyard: she had one dish for water, another with a croquette and a third bearing pâté. When it came to traveling, private jet setting was the only way Choupette would fly. The quality and design of the Choupette capsule collection just makes it worth the investment. My favorite piece in the collection is the Choupette flap bag, that comes in silver or gold with the trademark interlocking “CC'” hardware to open or close it. 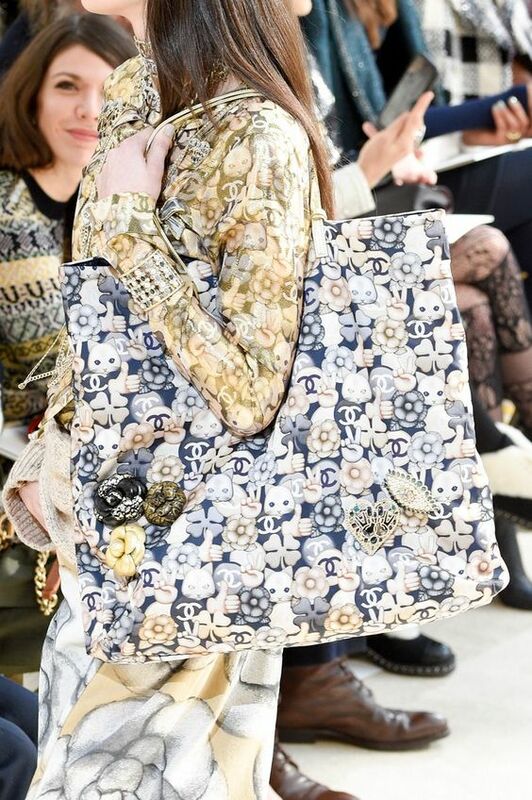 It’s the same bag as their classic leather flap bag, but Choupette and emojis are on the outside of the bag and it’s a fabric material instead of leather, except for the trim. You can find it on second-hand sites, but it’s only been three years since the collection has been out, so I think you’ll see more on consignment as the years pass. Chanel also came out with a costume jewelry line that season. The cuff, necklace, brooch and earrings are gorgeous. 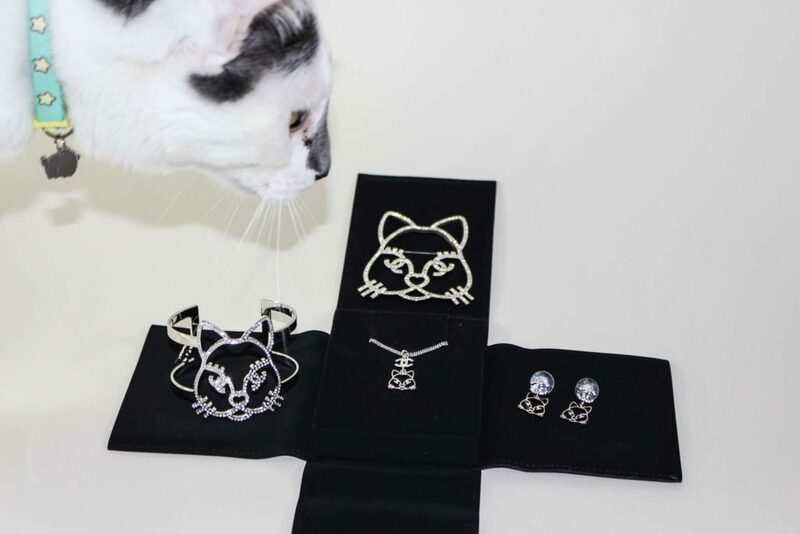 All the pieces are silver plated and feature Choupette represented as an emoji. Her face looks very modern, and isn’t really as cute as she is in person. The following year in 2017, Chanel repeated their Choupette line of costume jewelry, but this time her face became more robotic. 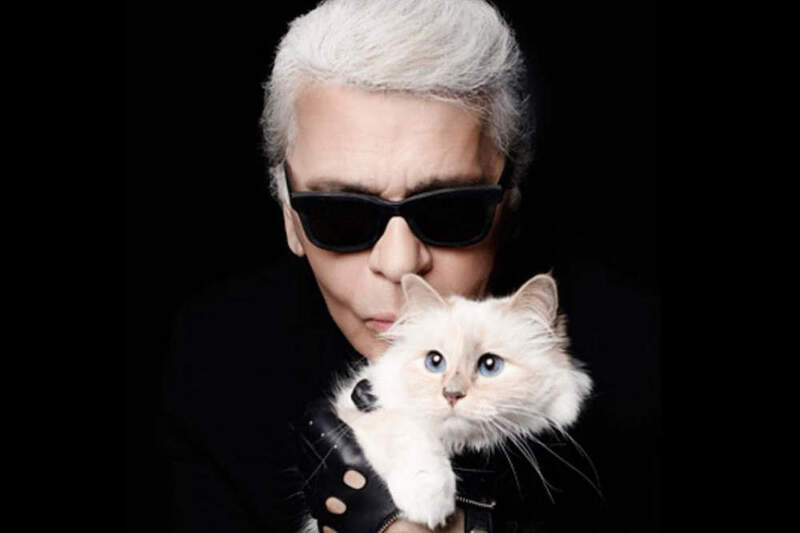 With Karl no longer here, it’s unclear if Choupette will continue her highly successful modeling career. The fashionable feline has earned about three million euros during her short career. Of course, when the pampered kitty went to work it was clearly exhausting; she was often used in photo shoots with high fashion models, forced to sit in Chanel handbags worth thousands of dollars. It was recently announced Choupette is one of the heirs to Karl’s massive fortune, and he requested his ashes be put with his prized Birman cat once she passes on as well. There was a recent report that her late human master assured his two-legged relatives there would be plenty in the estate to go around for all family members, not just the Choupette. Still, it’s rumored this lucky kitty will inherit $150 million. While I will never have the means to be Choupette, I certainly agree her attitude is snootily inspiring. Everyone can certainly emulate this feline fashionista! All it takes is attitude. With the right mindset you can project the classiness of this feline femme fatale. And if you just happen to have your classic Chanel bag on your shoulder with your cat in hand, you’re just exuding fabulosity. Thank you Karl Lagerfeld, for showing the world of luxury. May you rest in peace.